There's a good reason why his sound become so popular in the last few years. It's absolutely catchy and chill yet still packs a ton of power. That's the reason we created this Soundbank. To make it easy for you to create such bangers yourself! If you listen closely to Marhsmello's tracks you'll notice his Drums are different! A lot of times he uses Hip-Hop Drums when it comes to Snares, Hi-Hats and other Cymbals. This gives his EDM tracks a whole new vibe. 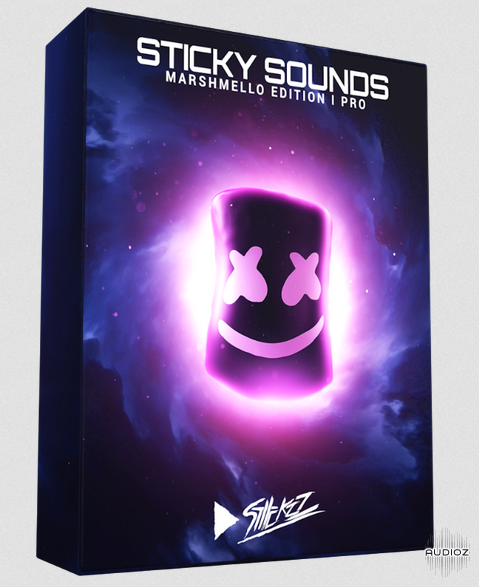 StiickzZ Sticky Sounds Mello Edition Pro Version WAV FXP FLP ALP-SYNTHiC4TE has been exclusively released on AudioZ by Horsemen who chose to ask not to post mirrors. I like the guy, gonna buy something of him. Thank you. Bastille back to the US charts thanks to Marshmello. Listen to their new hit Happier.